For advanced beginners. If you are a new quilter ready for a little more challenge or you just want to refine your triangle unit making skills, then this class is for you! It's the perfect next class to take after our Beginning Quilting Series to help you refine techniques for making common triangle square units, the foundation for so many lovely quilts. Luann will show you several techniques for making perfect triangle units. 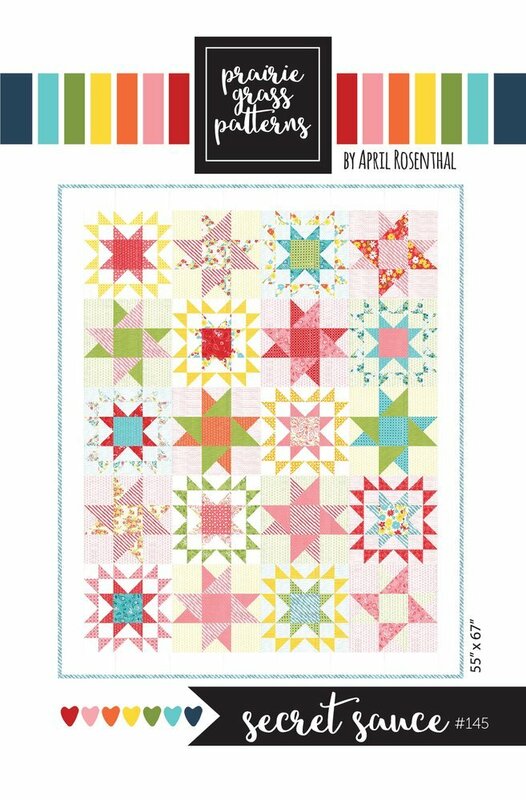 The pattern, Secret Sauce by April Rosenthal of Prairie Grass Patterns, make a beautiful 55" x 67" lap quilt. You will complete several blocks in class. Pattern Required: Secret Sauce by April Rosenthal. A copy of the pattern will be reserved for you at The Granary.